Today’s antiretroviral treatments would have been seen as a miracle in the 1980s. They mean that being HIV positive is now a manageable condition, with which sufferers can still live long and rewarding lives, rather that the death sentence it was once considered. Key to treatment being effective, however, is diagnosis, and this is now the biggest issue. Quite simply, if you are HIV positive, the chances are that you will not know about it till it’s too late. There are no “classic symptoms” as such, and by the time any symptoms at all start to manifest, the condition is usually in an advanced stage that will not respond well to treatment. HIV home tests - the perfect solution? On the face of it, HIV home testing sounds like the next major advance in the battle against HIV / AIDS. People are not getting tested for a variety of reasons, but deep down, we all know that a big part of it is this so-called stigma that is attached to HIV. We like to think that we live in enlightened times, but there is no getting around the fact that someone would not feel the same about booking in for an HIV test as they would for a blood test or a cervical smear. The reasons behind this are steeped in years of history, mislabelling and the human condition of being too shy or embarrassed to talk about sexually transmitted diseases. But these factors cost lives, and while getting to the root causes will be beneficial, it will not be done overnight. Providing an easy to use home testing kit for HIV is an immediate solution that can and will save lives. If someone thinks there is the possibility that they might be HIV positive, they might sit on that suspicion for months or even years, spreading the virus further and missing the chance for effective treatment. Surely a good home HIV test is something that should be part of everyone’s general health routine, much like those other tests we mention earlier. Of course, in a perfect world, there is no downside to a proactive and well-informed home testing regime. However. There are some potential cons that need to be borne in mind. The first is that there are plenty of home test kits on the market. Choice is a good thing, but some are far more effective than others. For example, those that use a saliva sample instead of blood sound quick, painless and convenient to use, but can be far less accurate. Always choose a product like http://hivtestkit.co.uk/ that uses a blood sample, as these have greater than 99 percent accuracy. Also make sure you choose one that is CE marked. The other downside is that home testing means you miss the opportunity to receive the support and guidance that is part and parcel of testing at a clinic. This is why the first thing that anyone is advised to do on testing positive is to go to a clinic, check the result and start getting the help that is crucial to a good outcome. 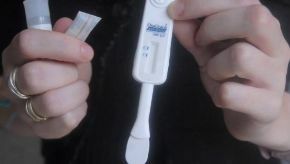 Make no mistake, home HIV tests are life-savers. Just make sure you use the right tests in the right way.